Enda Kenny of all people was among the first – bar the usual suspects – to speak about the real prospect of a united Ireland. He provoked a deal of controversy and some derision when he talked of the need to guarantee Northern Ireland’s potential EU membership if the North parted company with the UK in the wake of Brexit. That was precisely two years ago and it marked the first realistic, if misunderstood, mention in nine decades of the prospect of ending partition. The then-Taoiseach could probably have been more nuanced in his terms from the start, as some critics seized on his statement to stoke things up with fretful Unionists in the North, while Sinn Féin continued its talk about a “Border poll”, something it began immediately after the Brexit referendum result in June 2016. But there was considerable sense attaching to Mr Kenny’s assertion that was ultimately endorsed by the EU leaders in April 2017. In an unusual piece of foresight he had obviated the idea of the North taking its place in a queue behind other would-be EU applicants at some time in the future. The reality is that for the first time since 1920 Brexit has spawned widespread speculation about a united Ireland. The prospect was even cited by UK de facto deputy PM David Lidington in Westminster parliament on Wednesday when he warned of the dangers of a no-deal Brexit. There were also reports that the issue, along with the prospect of Scotland also leaving the UK, was raised at this week’s British cabinet meeting. Such talk would have been unthinkable just three years ago. But how realistic is such talk? 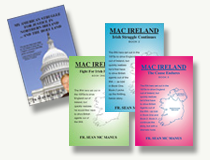 And do many Irish people – either North or south – actually want a united Ireland? The first question is by far the easier of the two to answer. The decision by the UK’s voters announced on June 23, 2016, to quit the European Union has shattered many certainties believed to have been set in stone, not least the continued cohesion of the United Kingdom. The overall UK result was narrow enough at 52pc Leave and 48pc Remain. But Scotland voted Remain by 62pc to 38pc in favour of Leave. Let’s recall that the Scottish independence referendum in September 2014 was defeated by 55pc to 45pc. A major plank of the Scottish anti-independence campaign was that Scotland would always be better with the UK and within the EU. Those advocating Scottish independence also argued Scotland would seek to continue its EU membership, despite doubts being expressed in Brussels and the other EU states. The Brexit result may well advance another Scottish independence vote — and this time Edinburgh would get a much better reception from the EU. Northern Ireland has strong cultural and emotional links to Scotland. The 56pc in favour of Remain was less clear-cut in the North but there is some evidence that even Democratic Unionist supporters are unhappy with Brexit and especially the way things have turned out with the risk of a no-deal. True, even nationalists in the North, who have lived separately from the Republic for four generations, are not automatically wooed by the prospects of unity. It risks bringing day-to-day realities like dearer cars and poorer health services and they would take some convincing. The doubts may be reciprocated down south. The real question to be posed here is: would we be ready to pay more tax to fund the return of that ‘fourth green field’? No doubting we would take some convincing on these and many other issues. But for the first time since, the question of Irish unity is now very real. That was precisely two years ago, and it marked the first realistic, if misunderstood, mention in nine decades of the prospect of ending partition. The then-Taoiseach could probably have been more nuanced in his terms from the start, as some critics seized on his statement to stoke things up with fretful Unionists in the North, while Sinn Féin continued its talk about a “Border poll,” something it began immediately after the Brexit referendum result in June 2016. But there was considerable sense attaching to Mr. Kenny’s assertion that was ultimately endorsed by the EU leaders in April 2017. In an unusual piece of foresight, he had obviated the idea of the North taking its place in a queue behind other would-be EU applicants at some time in the future. The overall UK result was narrow enough at 52pc Leave, and 48pc Remain. But Scotland voted Remain by 62pc to 38pc in favor of Leave. Northern Ireland has strong cultural and emotional links to Scotland. The 56pc in favor of Remain was less clear-cut in the North, but there is some evidence that even Democratic Unionist supporters are unhappy with Brexit and especially the way things have turned out with the risk of a no-deal. True, even nationalists in the North, who have lived separately from the Republic for four generations, are not automatically wooed by the prospects of unity. It risks bringing day-to-day realities like dearer cars and poorer health services, and they would take some convincing.